Hudson Valley Flying Circus | “CIRCUS SIZZLES”…..Marc DeLuca(West Hill,CT 14′ 6″ …Leah Saifi(Gov. Livingston,NJ) 12′ 3” !!! “CIRCUS SIZZLES”…..Marc DeLuca(West Hill,CT 14′ 6″ …Leah Saifi(Gov. Livingston,NJ) 12′ 3” !!! It’s a holiday rebound !!!!!! The Flying Circus athletes continued there after-the-holiday surge in many venues again yesterday and today. The ‘Fiber-Beat’ goes on and the day-to-day grinding out of specific pole vault drills continues to produce….BIG RESULTS!!!! Here is the latest rebounding…. Today at the historic New Balance Armory Track & Field Center…West Hill,CT senior Marc DeLuca won his second Big Invitational of the early season..with his 14′ 6″ sail at the Marine Corp Invite. Also jumping super were George Zakharov(Croton-Harmon,NY) 13′ 0″ and Josiah Spain(O’Neill,NY) at 12′ 6″. Amanda McNelis(Commack,NY) coming off her 11′ 6″ Ocean Breeze win.. placed second and Lauren Berry(Emma Willard,NY) flew 9′ 0″ !!! Rhode Island Classic@ Providence …. 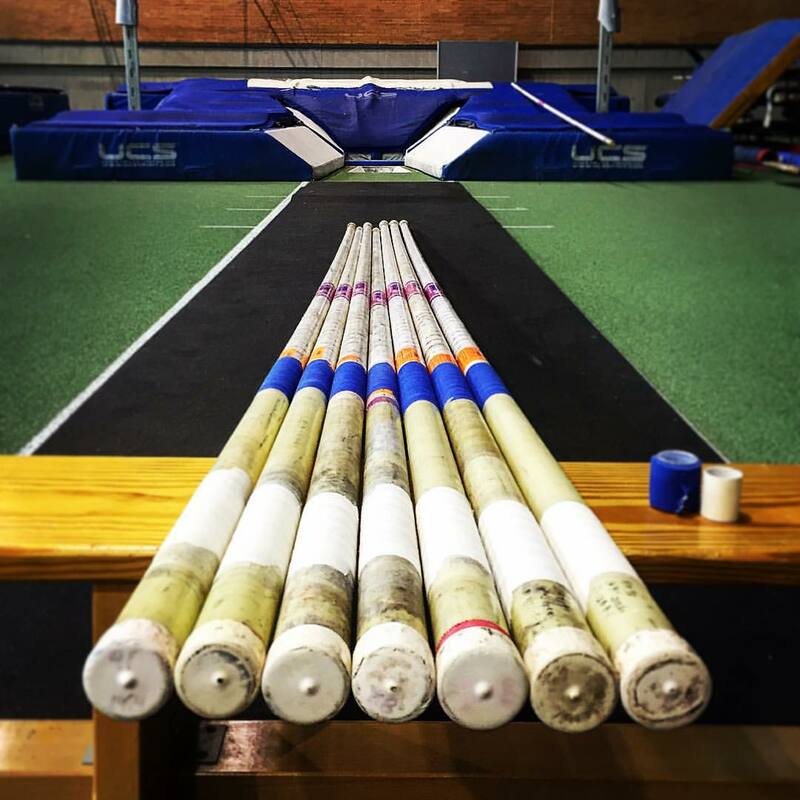 A New School Indoor Record came from Greenwich,CT Junior…Lia Zavattaro.. with a big clear at 11′ 0″ and close bar at 11′ 7″… Placing third was Flying Circus Summer camper ..Rachael Hill(North Reading,MA) at 10′ 6″ !!! The Wilton Wright Invite @ Southern,CT belonged to Weston,CT senior Danielle Cass with a 10′ 6″ win for the gold medal for Coach Matt Medve!!!! FLYING CIRCUS will be CLOSED Saturday December 31 and Sunday January 1. Regular classes resume Monday January 2 @ 4:30-9PM.